Living room! 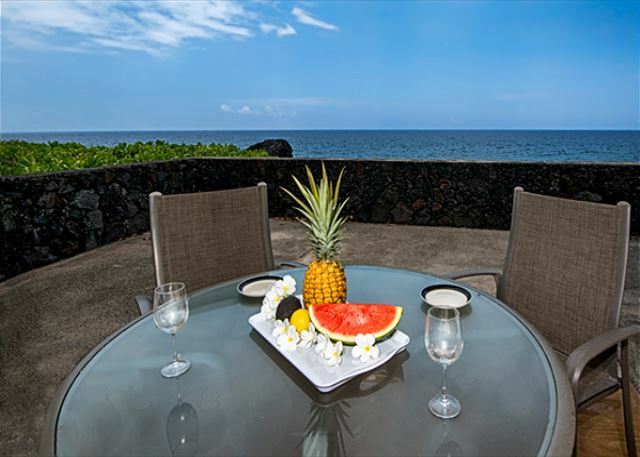 Tasteful furnishings, beautiful direct view of the water. Views of the water from the kitchen! Dining area, looking outside of the unit. Master bedroom features a king sized bed! And has a view towards the ocean! 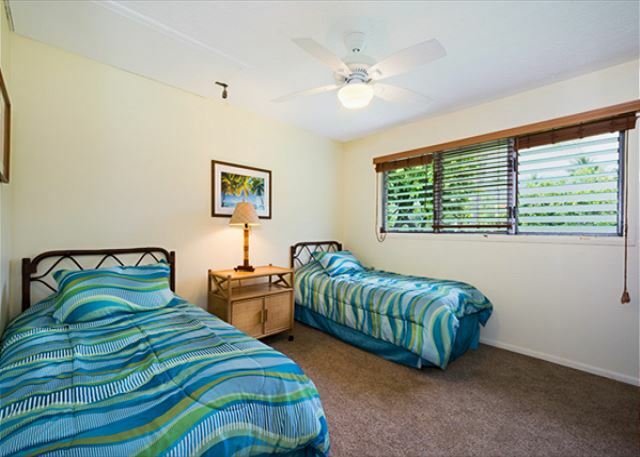 2nd bedroom has 2 twin beds! Bathroom#2 Sink Area. Facing towards ocean! Corner Unit! No Foot Traffic! Gorgeous beach the complex sits on. This complex sits right on top of a beach! Literally steps away! Wow, look at that pool! 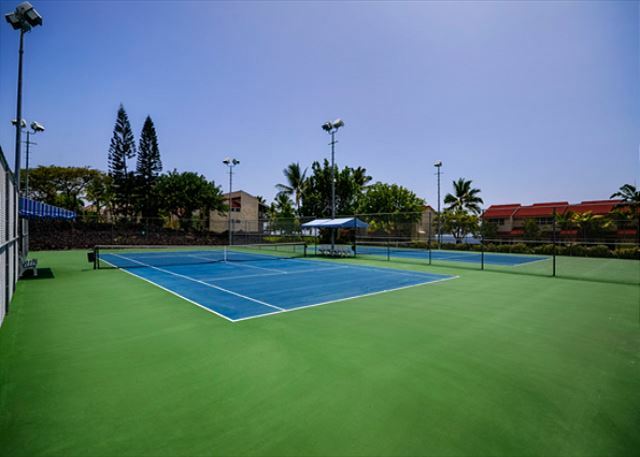 Tennis courts as a great amenity! Aerial Shot of the grounds!! 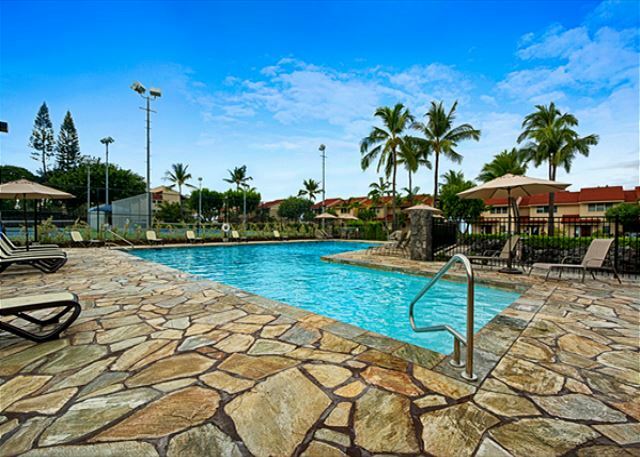 **TAKE A VIRTUAL TOUR OF THE PROPERTY! -If link is not shown, please inquire within! 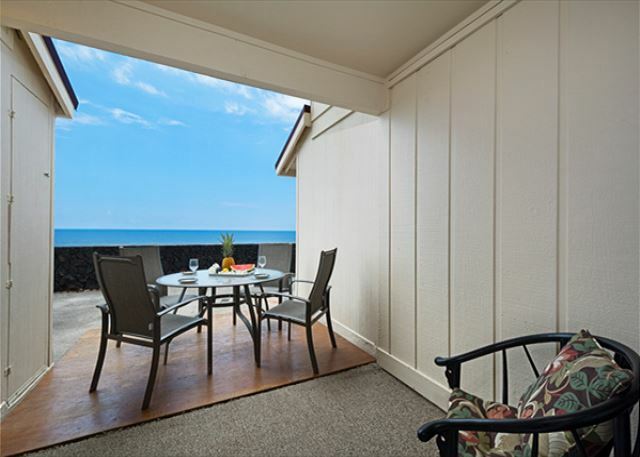 This is a gorgeous ocean front townhouse corner unit. Being an end unit with additional side windows allows for additional light in the unit, and because it is located at the end of the building, you do not get additional foot traffic. 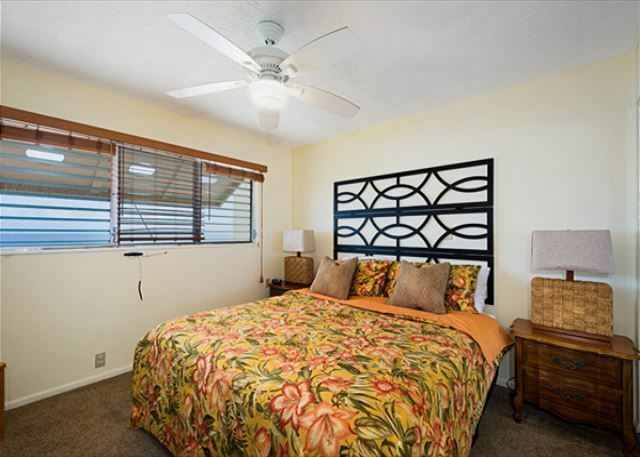 Fully equipped with free WIFI, DVD player, PHONE SERVICE, a King bed and 2 twins, this unit also offers a sofa sleeper, ceiling fans in each bedroom as well as living room. Window A/C also located in the living area! Not a common amenity at this complex! Pool is being upgraded as of August 2016! BBQ area on-site. 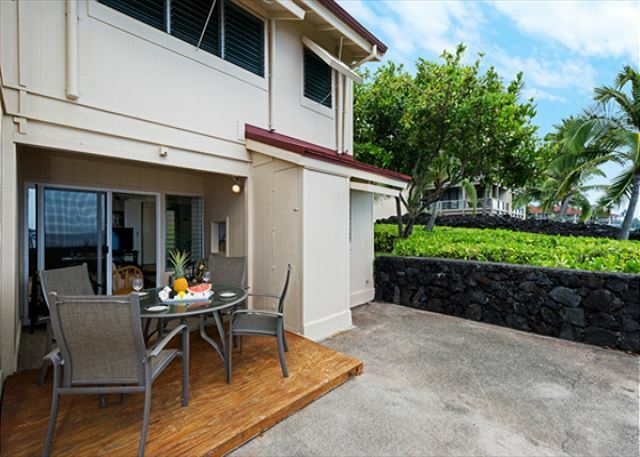 Walking distance to Kahaluu Beach Park which offers excellent snorkeling, and to the Keauhou Shopping Center. 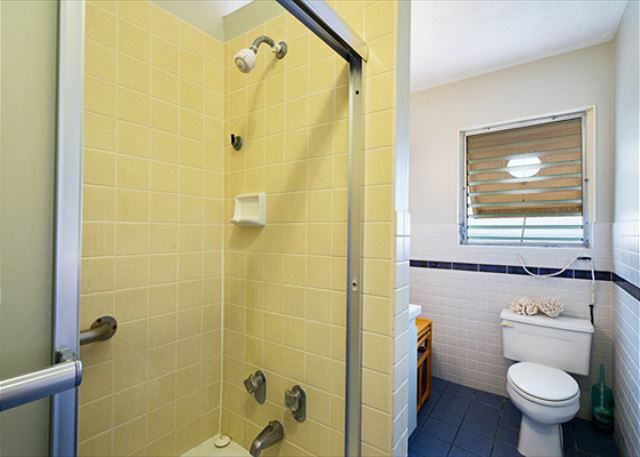 This unit is professionally managed by a property management company who has been doing business since 1979! We're available 24/7 to assist you with any problems that may arise. They can also assist you in finding car rentals and any activities you wish to do while on island. 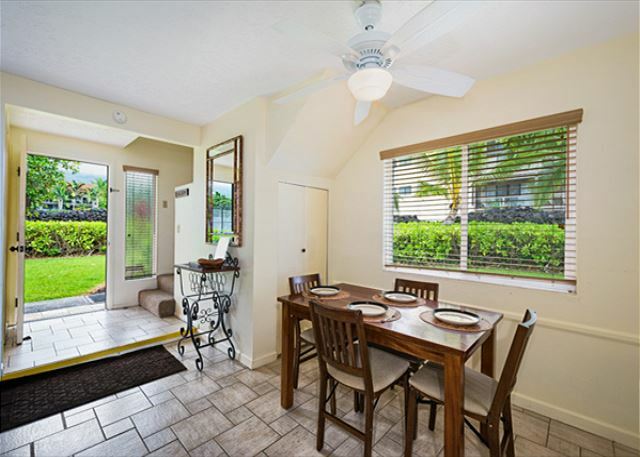 This is a terrific townhome - roomy and well equipped. 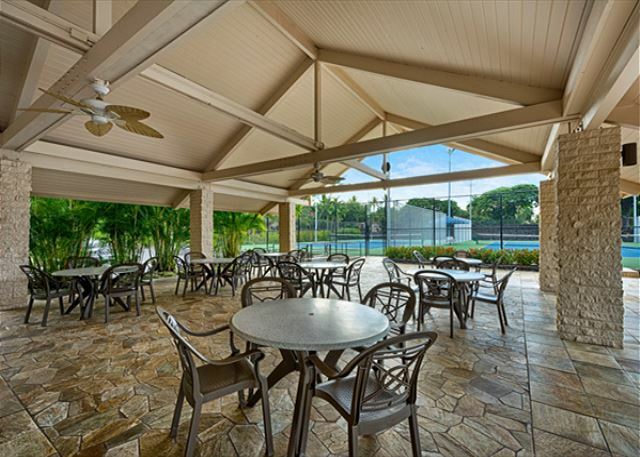 The lanai and amenities are fantastic. The property manager quickly replaced the fans when I reported they weren’t working. I don’t have a single complaint and highly recommend this home for any length vacation. 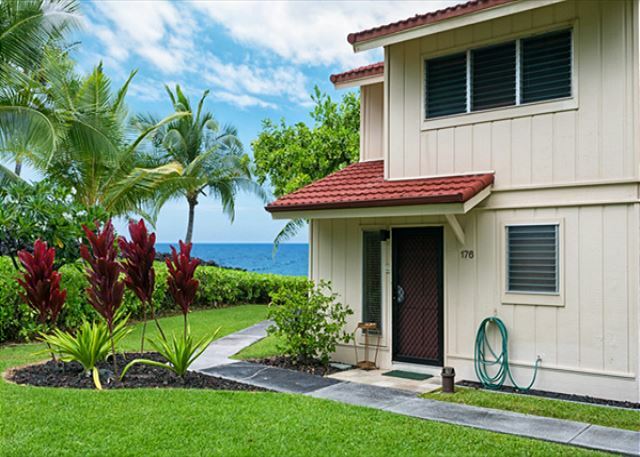 Mahalo for your review, Carol! We are always happy to assist in any way to make each stay as perfect as possible, and we would love to have you with us again! Nice view and location. Right on the ocean. Decent space for 2 adults and 3 kids. Clean. Only problem is that there was no washer/dryer. 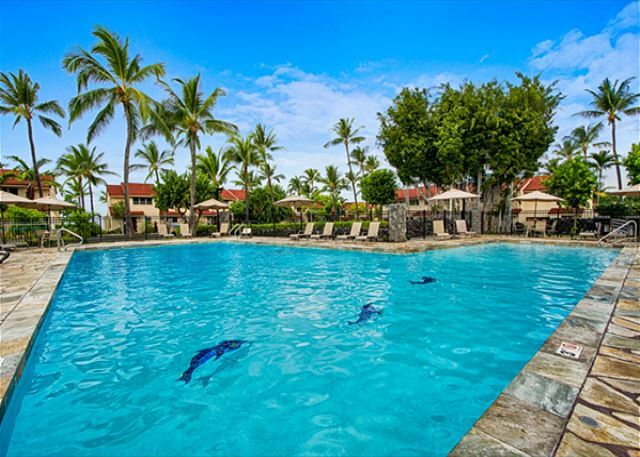 Aloha and thank you for your review, Douglas! There is actually a washer/dryer exclusively for this unit-- the w/d is located in the shed on the south side of the building and the key for access is in the kitchen. Mahalo! 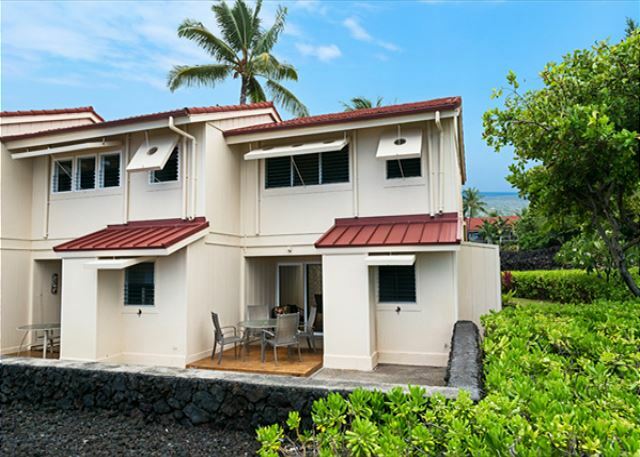 Out of all the places we stayed at in Kona this is our favorite. 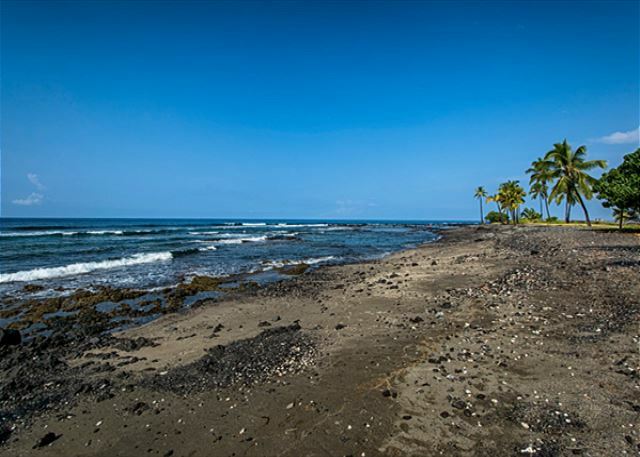 Great location with the waves crushing right in front of the property and quite private, the condo has everything one might need for a great vacation including beach and snorkel gear. We loved the bed which was far more comfortable than average in a rental property. Great barbeque very closeby. Knutson team was very easy to communicate with, and helpful on everything we needed. 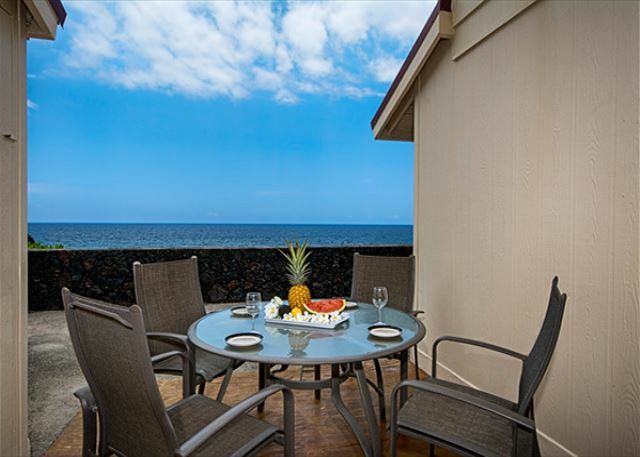 This is a very comfortable townhouse with a wonderful view. The corner unit afforded extra privacy. We enjoyed the sound of the crashing waves and the breeze was lovely. 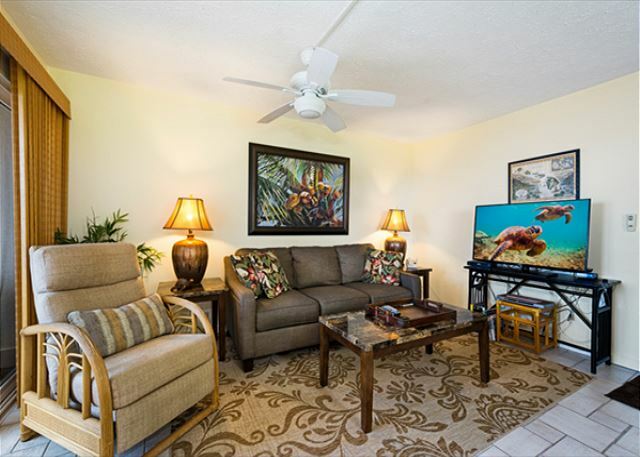 The complex is excellent with very well maintained pool, fabulous landscaping, gardens. 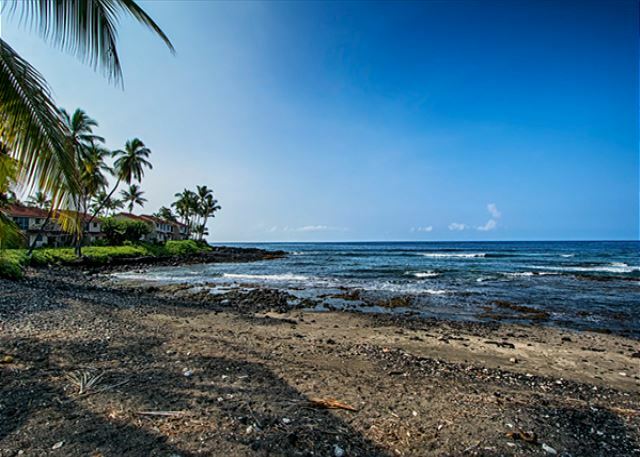 Close to Kailua-Kona but just beyond the hustle & bustle. 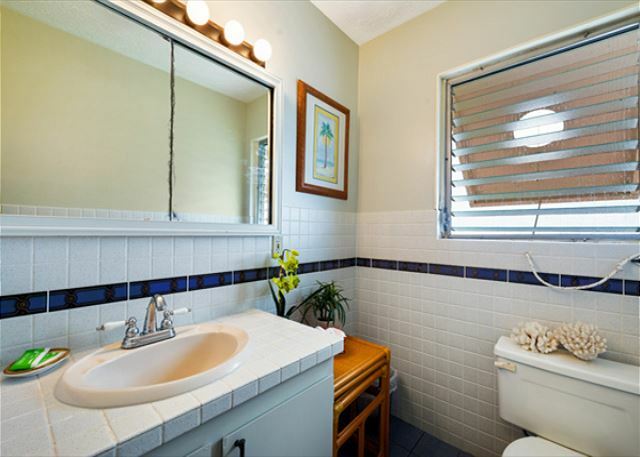 Bathrooms mirrors and above sink cabinets showing rust and master bedroom furniture dated. More cozy than upscale but it suited us fine. If you don't mind stepping back in time with some of the decore you can't beat the price, view, or area. 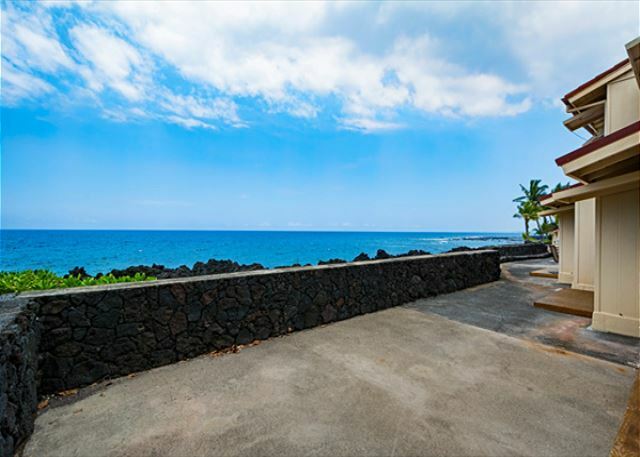 The ocean is at your feet, sandy beach just at end of property. Snorkeling 1/2 mile walk plus shops, food etc. close by. Quiet, private area, really amazing. I will be back!!! 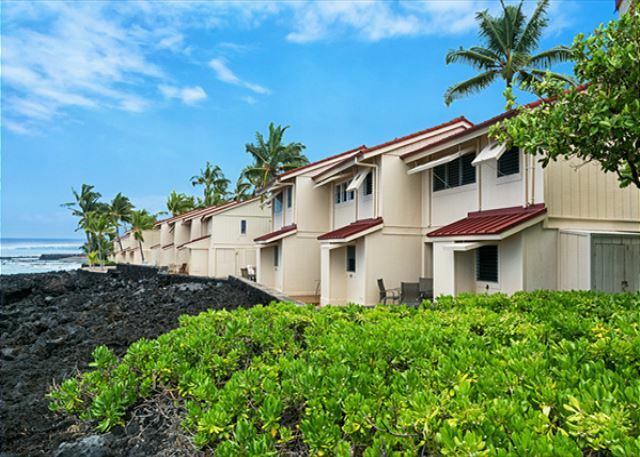 Ocean front, well equipped, moderate ambiance, two story with no air conditioning upstairs. Way to hot in July without upstairs air. Pool great near market. The condo was well equipped with most everything we could need. The location right on the water was wonderful. The surf breaking on the lava sounded like thunder (in a good way). All was clean and neat. The shopping center less than a 1/2 mile away was convenient and had many good restaurants (like Bienelli's pizza and Kenichi sushi) and a grocery store and movie theatre. The property is not in the heart of Kona, so we enjoyed the less congested roads and more peaceful feeling. We visited South Point green sand beach, Volcanos National Park (amazing) and went to the Botanical Gardens near Hilo (beautiful!) Great snorkeling just 2 minutes north. Thanks you for sharing your home. We got really good time. Thanks. 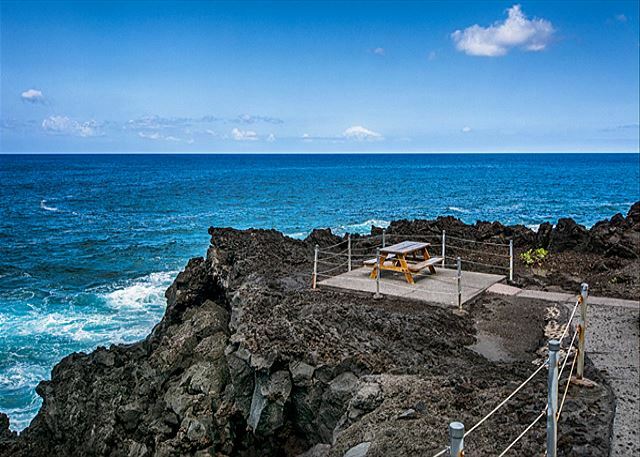 Great location and views of the ocean. Nice layout in the townhouse. Felt very safe and comfortable. Nice pool. 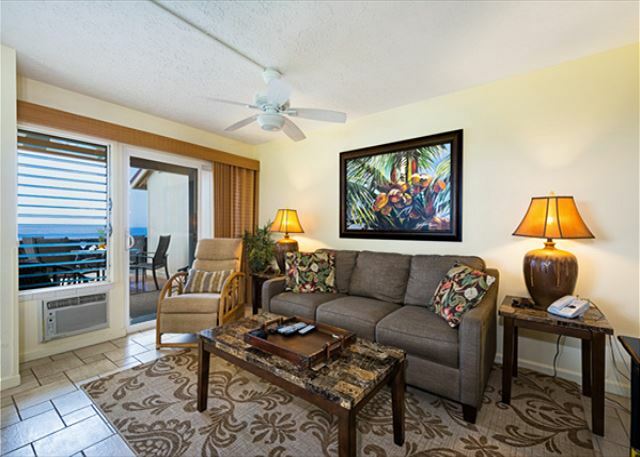 Easy access to shopping center, restaurants, and beaches. Ocean view on the rocks! We enjoyed our stay and hope to return some day. The condo was clean and had all the amenities. Some minor repairs are needed on some of the window louvers especially the upper bathroom which wouldn't close at all. Not a problem though as the weather was great while we were there. Location is perfect as we were able to go on long day trips yet return at night. Attentive management provided good contact with us. We thoroughly enjoy the Big Island Grill in Kona for lunch and supper. The rental of our condo was simple. However, we did have help from a friend who has rented from Knutson & Associates before. Therefore we already had a good review. Our condo was very clean, it had all we needed and a view to fight over. The master bedroom was on same side of condo as the ocean and we got to hear it all night long. Must admit the first night the winds and sea were high and it scared us a bit. 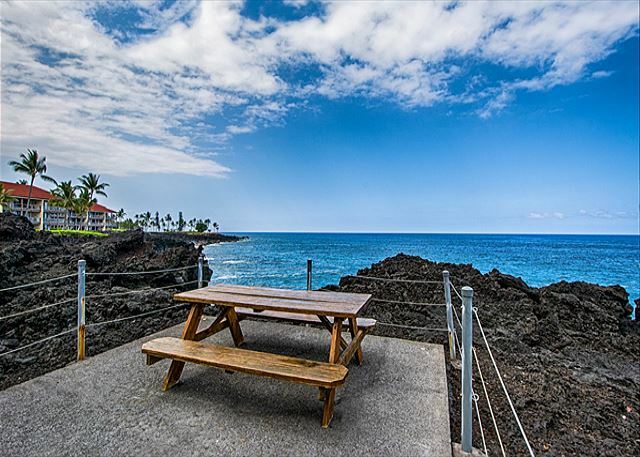 This is a lovely spot right on the ocean, with waves crashing on the rocky shoreline (can be a bit noisy at night). 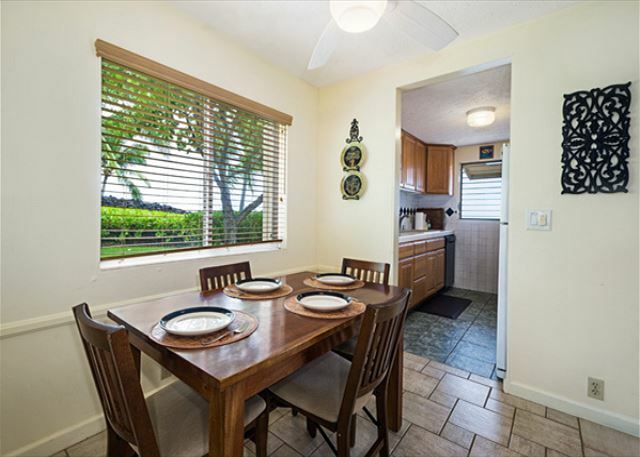 Conveniently located within walking distance to Keauhou shopping center. Good restaurants nearby. 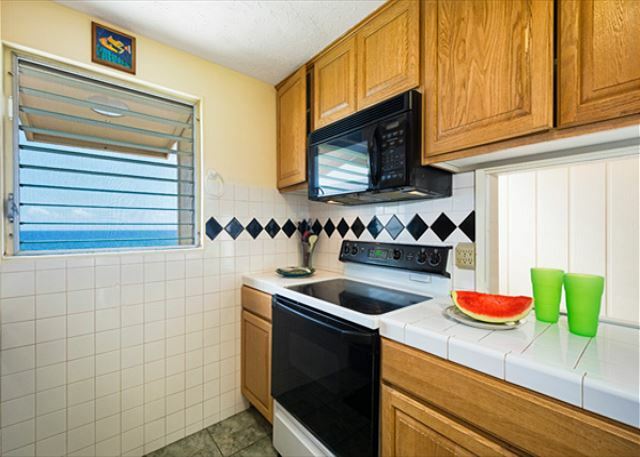 Townhouse is comfortably furnished and kitchen is well stocked. 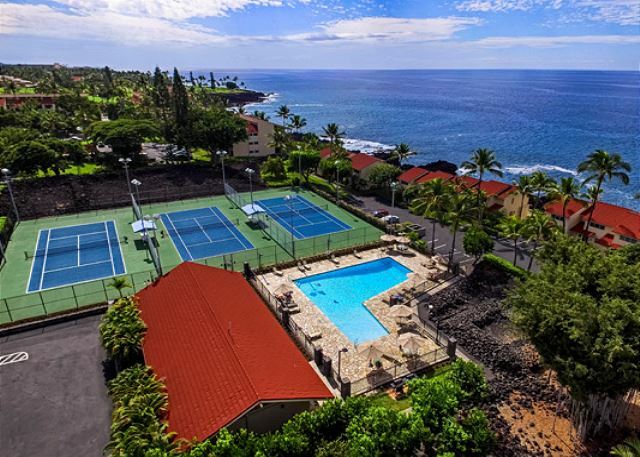 Pool and tennis courts are very close. King sized bed in master bedroom is very comfortable. 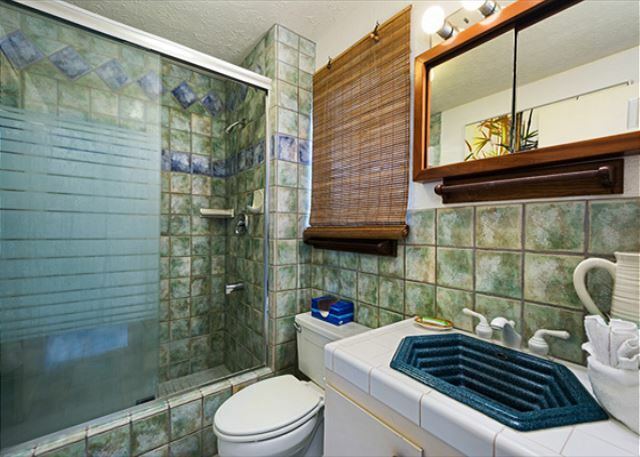 Custom shower stall in downstairs bathroom is nice and spacious. Large HD TV is great. Instructions on use would be helpful. All in all this is a comfortable, user friendly place and a good deal for the price. Recommended.